If there’s one design trend that has dominated bathrooms and kitchens over the last three years, it’s the use of black tapware. While chrome and stainless-steel finishes have reigned for years now, they are being challenged by black tapware today. There’s certainly no denying that black tapware offers a sleek and sophisticated look. 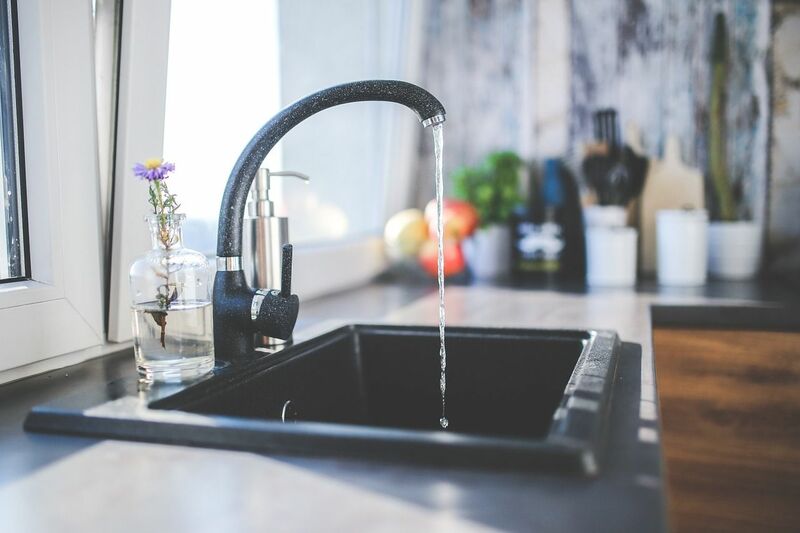 Even though Chrome and stainless-steel tapware are still popular choices, black tapware has started to flood the market. And, with many designer bathrooms and kitchens, along with TV shows like The Black and House Rules still showcasing black tapware, it seems like this trend won’t die out very soon. But, before you rush into purchasing black tapware just to stay on trend, take a second to learn the pros and cons of black tapware before making a choice. So, continue reading, and when you’re done, you’ll have a good idea whether to choose black tapware or not. One of the biggest reasons behind the popularity of black tapware is, of course, its sleek modern looks. There is no denying that a black finish looks incredibly sophisticated. Introducing black will add a touch of contrast to your bathroom or kitchen. And, given that we’re so used to seeing metallic tapware finishes, black comes as a welcome change. Another reason for this trend is because black is a neutral colour – it can be paired with a variety of colour schemes, and it works with classic as well as modern designs. And, if you’re worried that black tapware will look out of place in a white kitchen or bathroom, then you should think again! Black perfectly complements white and other neutral colours as well. For instance, the Cube Range of matte black tapware offered by Alpine Building Products will perfectly complement all neutral colours. Another big benefit offered by black tapware is ease of maintenance. As opposed to stainless-steel or chrome, black resists watermarks and fingerprints. This is because most modern black tapware, including Alpine Building Product’s Fiona Range, is manufactured with a special electroplated finish. Any product from the Fiona range of tapware will look good as new over several years with minimum maintenance. Whether you’re looking to create a monochrome look, an industrial look or you’re adding metallic texture or timber to your space; black tapware will perfectly complement it all. While black tapware certainly offers a range of benefits, it also suffers from a few cons. First, and the most obvious is that at the end of the day, black is a trend. Like every other trend, it will die out with time. Another disadvantage offered by black tapware is that the finish may fade with time. While the special electroplated finish does protect the surface, it will fade over time. Also, you cannot use any special chemicals or cleaning agents to preserve the look of black tapware. Black tapware should only be cleaned using mild soapy water. Some people tend to go overboard with their tapware. While this is generally not an issue, it can be an issue with black tapware. Overusing black in any space will make it look dull and lifeless. Moreover, there was nothing worse than dated and worn out black tapware overwhelming a space with dullness. Even if you do choose black tapware, make sure not to go overboard with it. Black tapware is a trend that has dominated kitchens and bathrooms for a few years now. This is because black tapware looks sleek and sophisticated, it can be paired with a variety of colour and design schemes, and it is easy to maintain. It is also the perfect choice for monochrome spaces, industrial spaces and it also complements timber and metallic textures very well. However, black tapware also suffers from a few disadvantages. It is a trend which may die out anytime. The black finish on tapware may fade with time. Also, if black tapware is overused, it can turn a space dull and lifeless. Now that you know about the pros and cons of black tapware, you can go ahead and make a decision. And if you do choose to go with black, consider the range of tapware by Alpine Building Products. Our high-quality black tapware is the perfect choice for your bathroom or kitchen. To purchase our black tapware in Perth, visit your nearest Alpine stockist today!